Driveway, Garage converted to 2 offices. 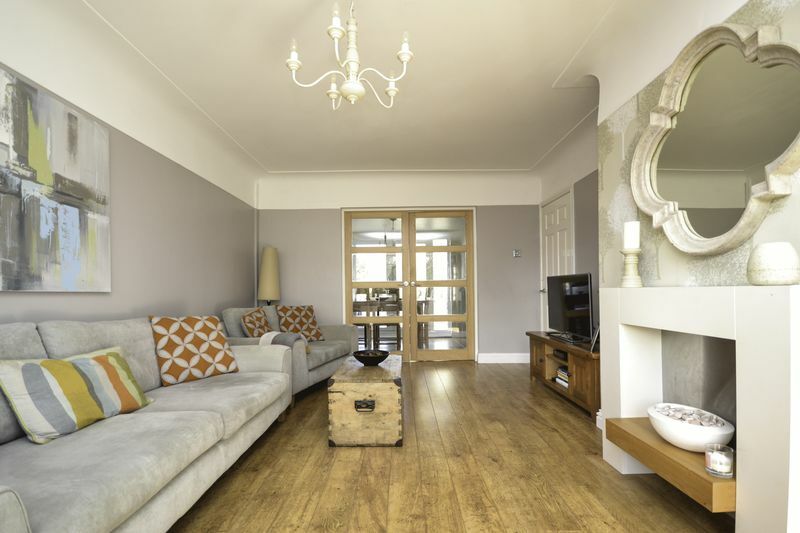 An internal viewing is recommended of this well presented 3 Bedroom Semi Detached House. 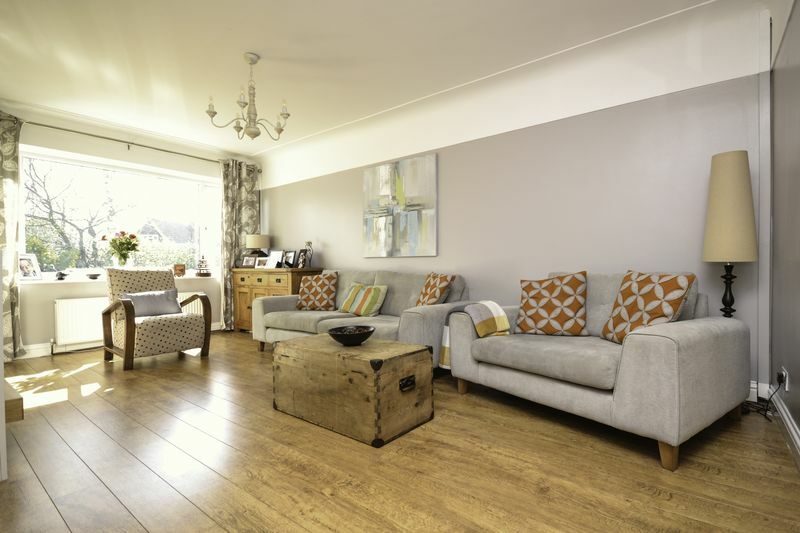 Situated in a popular residential area close to amenities, the property will appeal to a variety of purchasers. 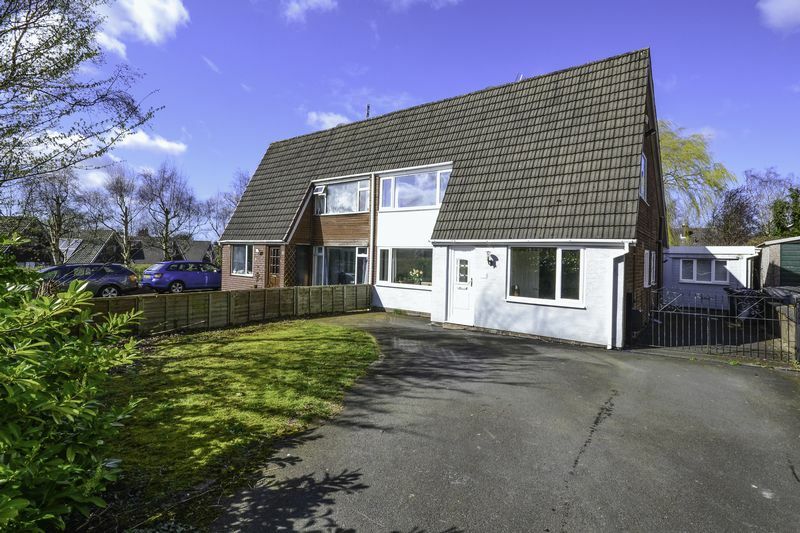 Benefitting from gas central heating and double glazing, the accommodation comprises: entrance hall, 2 reception rooms, fitted kitchen, 3 bedrooms (master with en-suite shower room) and additional bathroom. 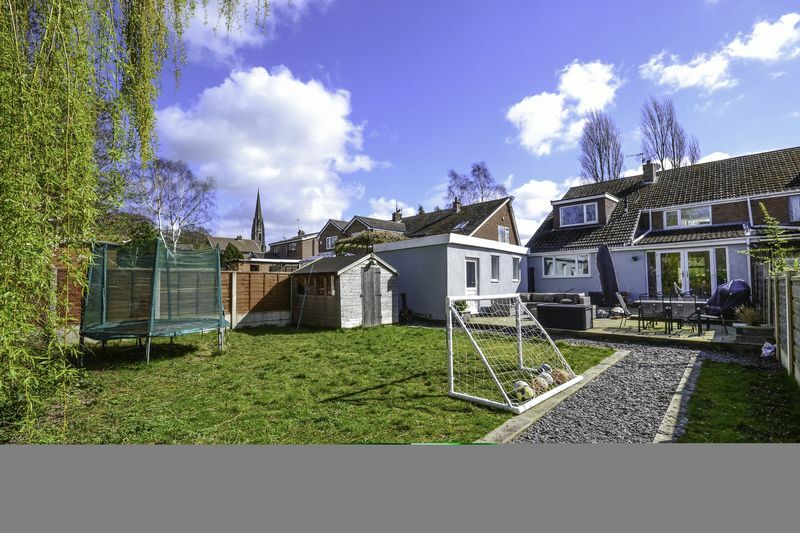 Enclosed rear garden with garage which is presently adapted as 2 offices. Front garden with off road parking. Doors to lounge and sitting room. Stairs to first floor. 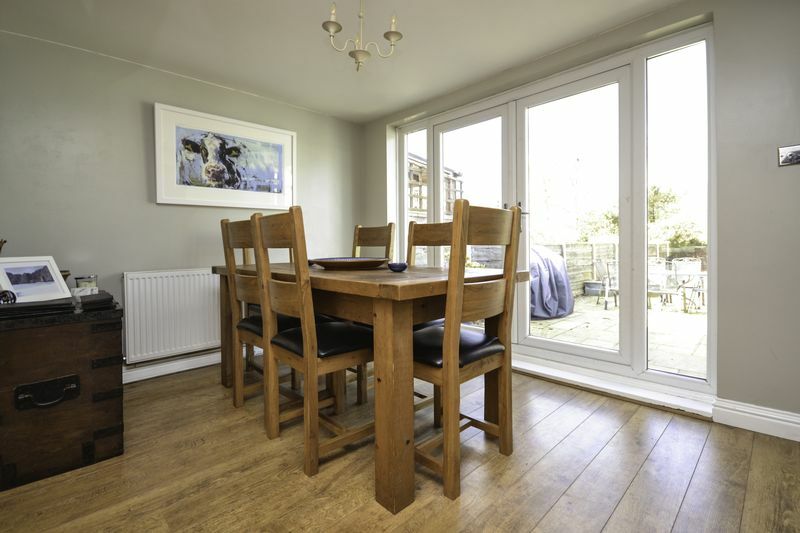 Wooden flooring, double doors to dining kitchen. Window to front. French doors to rear garden, wooden flooring, opens into kitchen. 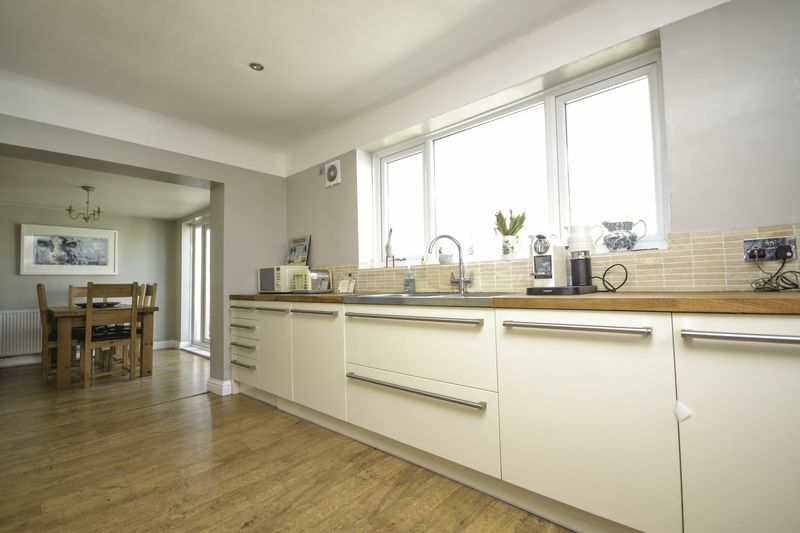 Fitted with an excellent range of eye and low level units incorporating a single bowl stainless steel sink and drainer unit, double oven with canopy style extractor hood, plumbed for washing machine and dishwasher. Part tiled walls, wooden flooring, window to rear, door to side. 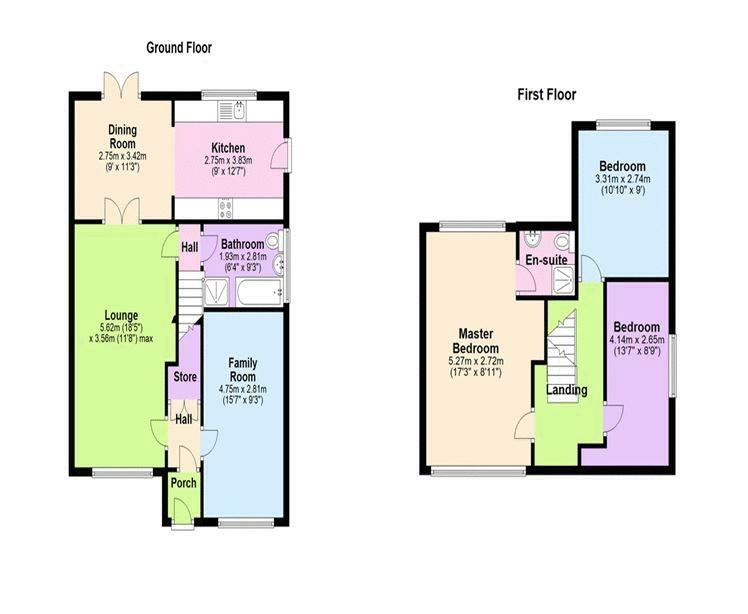 4 piece suite comprising low level w.c, wash hand basin, shower cubicle and bath, heated towel rail, tiled floor and part tiled walls. Window to side. 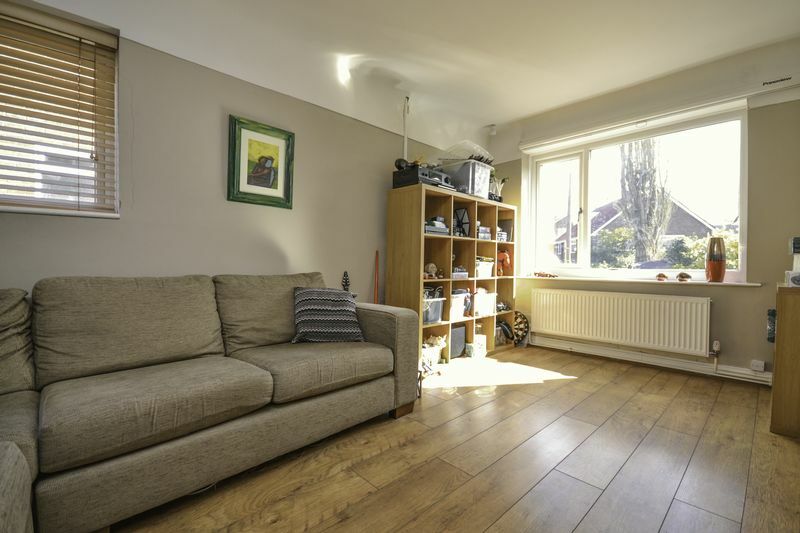 Window to front and side, wooden flooring. 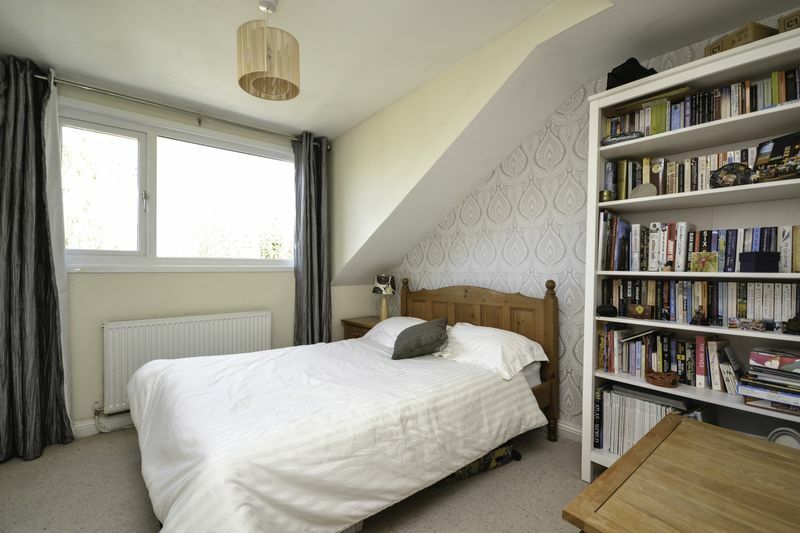 Doors to 3 bedrooms, ladder to boarded loft. 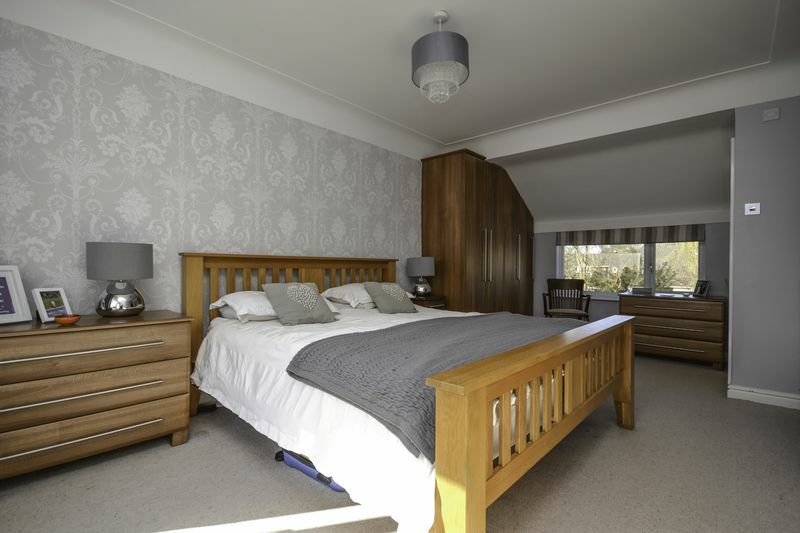 Fitted bedroom furniture. Window to front and rear. 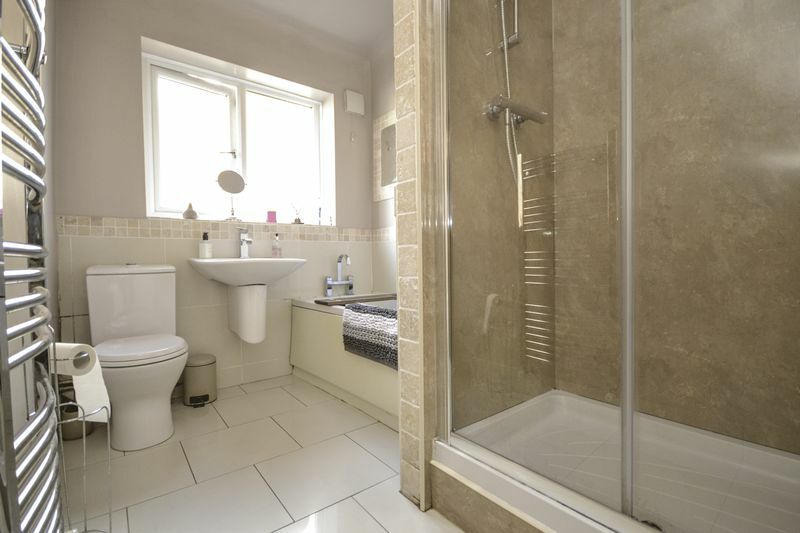 3 piece suite comprising shower cubicle with electric shower, wash hand basin and low level wc, tiled floor. 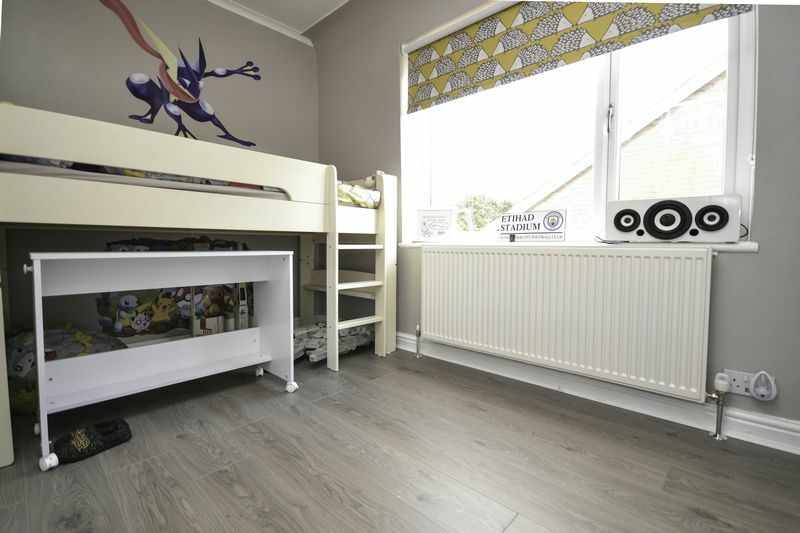 Window to side, laminate flooring, built-in mirrored sliding door wardrobes. To the front is a private driveway with lawned area. 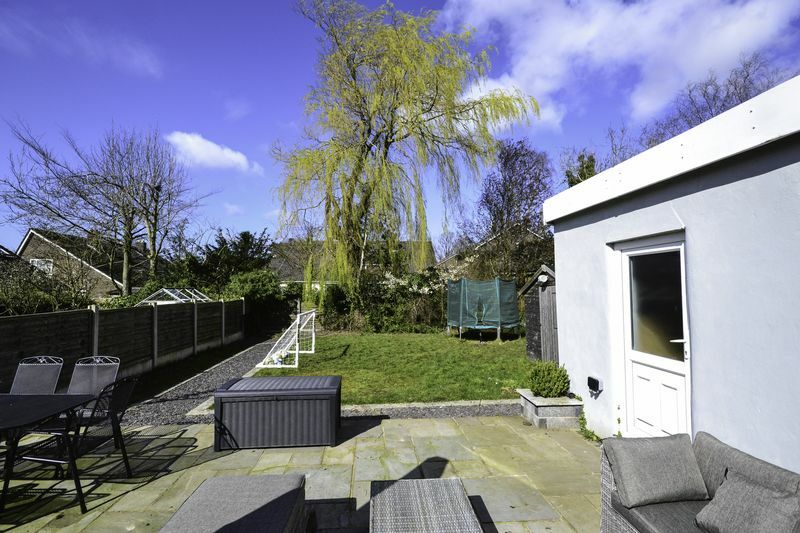 Whilst to the rear, the property has a good sized enclosed garden with large patio, and a lawned area.